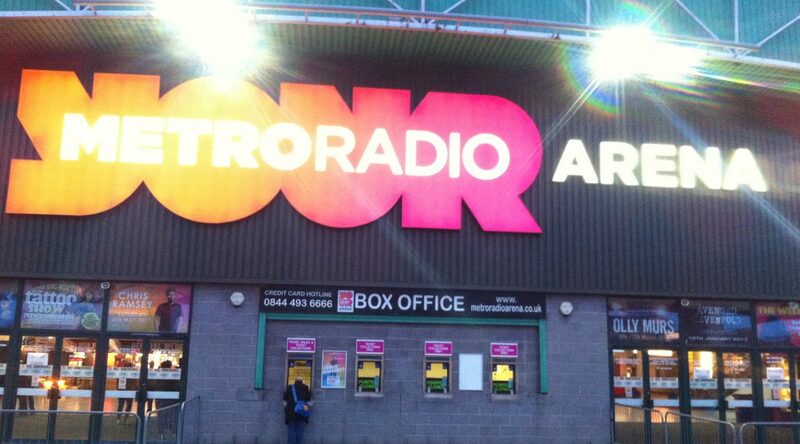 On Wednesday July 2nd Elton John (and his band) is set to perform at Newcastle’s Metro Radio Arena. The website quotes that he is “undeniably one of the most acclaimed and adored solo artists of all time” and you’ll get no argument from me. His career success parallels few artists of any genre and his recordings are, quite literally, embedded into popular culture. Tickets for the event are listed at £55 and £75, a look beyond the home page and prices have now risen to £62.75 and £83.75 respectively with the click of a mouse. The rise in price equates to a booking fee of £8.75 for purchasing tickets online, with an optional “missed event insurance” of £3.75 and a further, mandatory, minimum mail or venue collection charge of £2.50 – none covered in the previous charges. England, like most other first world countries, is a market economy. In a world where we’re more readily checking our pockets and bank balances it seems unusual to pay an additional £2.50 for sending a letter by first class post. Even more unusual when the £8.75 booking fee doesn’t, on its own, include any form of insurance and is more than what you’d be paid for doing an hour’s work on minimum wage. With new rules introduced in April 2013 by the UK Government to cut down on credit card surcharges, Booking Fee’s for performances have remained unaffected, with Elton John’s performance at Nottingham Arena also demanding a £9.25 fee atop a £75 ticket price via Ticketline. This is far from a regional occurrence. By that logic, the Metro Arena has already been paid prior to Booking Fee; a quick survey of their website informs us that all online sales are powered by Eventim.co.uk – the English branch of CTS Eventim AG, a German registered company who purport to be the largest ticket seller in Europe and who reported a turnover of €520 million in 2012. What it doesn’t tell us is why £8.75 per ticket is being charged for simply clicking a few buttons. Do we blame the Arena, Eventim, MasterCard, Visa or Elton John? So, how can you save money? Phones4U Arena in Manchester is just one venue who informs consumers – through its website – that all tickets purchased from the venue box office, and with cash, will not be charged a booking fee. It might seem like small consolation but if you live near the venue and don’t believe the gig will sell out within moments of tickets going on sale then the advice is clear, visit your venue and purchase tickets in person. Organise a pooling system with friends or relatives. There is also hope for the future on excessive booking and admission prices as the EU plans to crack down on credit card surcharges and online fee’s, calling for them to be more representative of the services offered, though it’s unclear just what changes it will have for companies like Ticketmaster and Eventim who often register business roots outside EU market zones and avoid such laws. As part of this article I attempted to contact the Metro Radio Arena and speak to someone about the Elton John example, but nobody was available for comment.